This summer, revamp your shoe collection with designer pumps from Neiman Marcus. 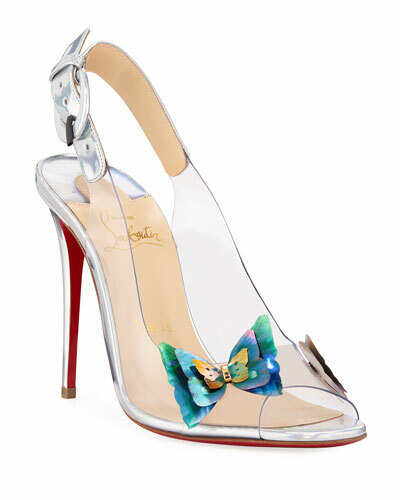 We have designer heels in an array of cool designs and colors, and crafted by some of the top designers of the world. From low- and high-heel pumps to leather and lace-up pumps, we have everything to suit your style. It’s time to stay in sync with the latest fashion trends. We have selected the best collections from the runways to offer you the latest designer pumps that are trending this season. 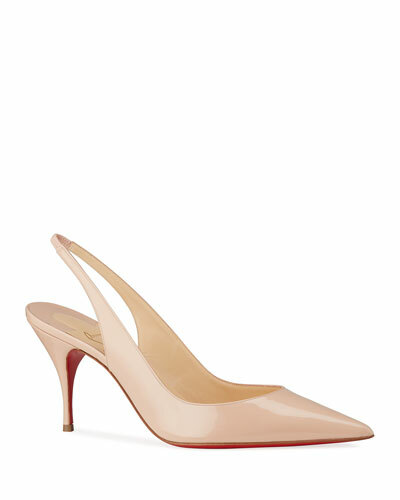 From the classic red sole and pointed-toe pumps to ankle-wrap pumps, choose from the coolest designs at Neiman Marcus. All our pumps are made from high-quality materials and offer you a perfect fit. Shop Neiman Marcus’ collection of women’s pumps in an array of cool designs. Gentle Souls "Luca" Mary Jane sneaker in leather. Multilayered comfort system utilizing unique combination of PORON performance cushioning, and additional molded arch support. 0.5" flat heel. Round toe. Leather lining. Rubber sole. Imported. Gentle Souls "Noa" metallic suede sandals. Designed for comfort: performance cushioning, memory foam, and arch support. 1.5" demi-wedge heel. Round toe. d'Orsay silhouette. Crisscross stretch straps. Back zip eases dress. Leather lining. Rubber sole. Imported.